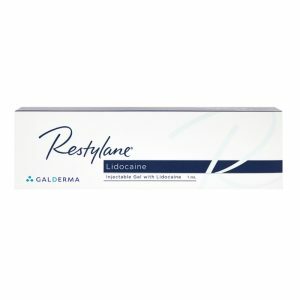 RESTYLANE LYFT is a hyaluronic acid-containing cosmetic filler (gel) developed by Galderma. It is used in modern aesthetic procedures for skin rejuvenation. The dermal filler contains bio-degradable Hyaluronic Acid (HA) of synthetic origin. Mass HA concentration in the product is 20 mg per 1 mL. Natural HA is present in many cells of the body. It protects, moisturizes, nourishes, restores soft tissue and slows aging. RESTYLANE LYFT is one of the fillers of the world famous RESTYLANE product line. Earlier, it was available for sale under the name Perlane. 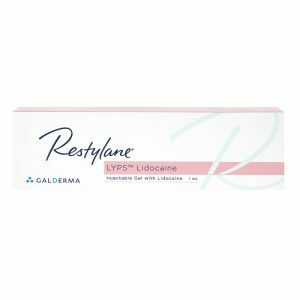 WHAT CAN RESTYLANE LYFT DO FOR WOMEN AND MEN? 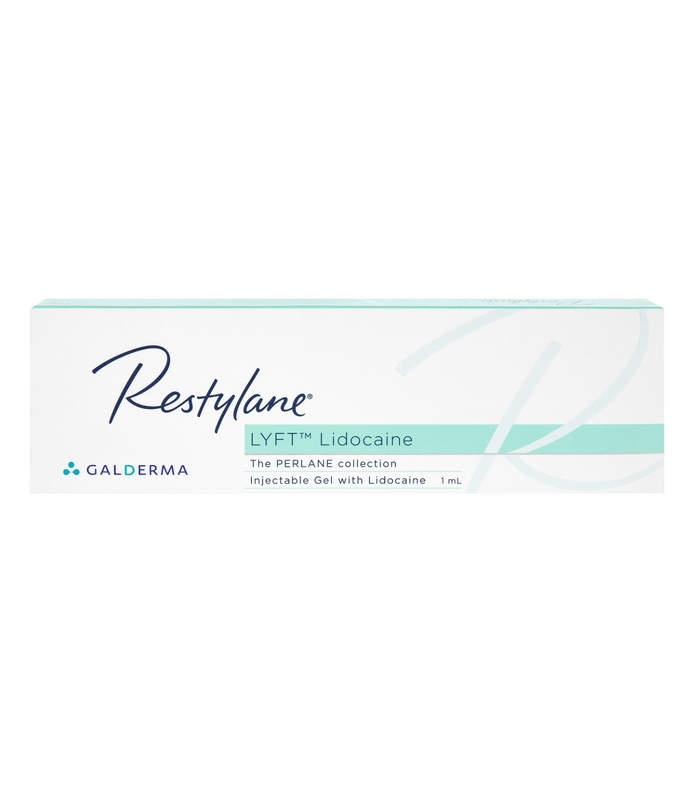 RESTYLANE LYFT with lidocaine allows restoring or increasing the fullness of individual parts of the face, without surgery. Enhance and restore volume to sunken cheeks. RESTYLANE LYFT: HOW LONG DOES IT LAST? The filler usually works well for up to 12 months. Clinical trials showed that the majority of patients (73%), who used this dermal filler, were satisfied with the results 12 months later. The longevity of any dermal filler is variable and each individual may obtain a different result. It is certain that you will immediately see the before and after RESTYLANE LYFT difference. Hyaluronic Acid works quickly, although the full effects may not be visible for several days. Should swelling, redness or bruising occur after the injection, apply an ice pack. It will quickly alleviate adverse reactions. 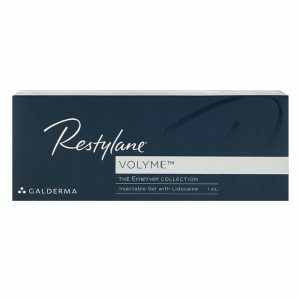 In contrast with other products of RESTYLANE range, RESTYLANE LYFT features somewhat larger gel particles. Therefore, this gel can fill the deepest wrinkles and create results that last longer and are smoother in appearance. The gel contains 0.3% lidocaine – a synthetic compound, which provides an analgesic effect. Before carrying out the procedure, you should cleanse the treatment area with soap and water. Your aesthetician will treat the required area of the skin with alcohol or another antiseptic. The gel is introduced via a syringe with a needle into the surface layer of the subcutis or deep layer of the dermis. Injections are made several times per minute. Depending on the treated area and the amount of gel injected, the entire facial rejuvenation treatment lasts 10 to 40 minutes. Volume & Packaging: 1 x 1 mL pre-filled syringe. Storage: Store at room temperature (up to 25ºC / 77ºF). DO NOT FREEZE. 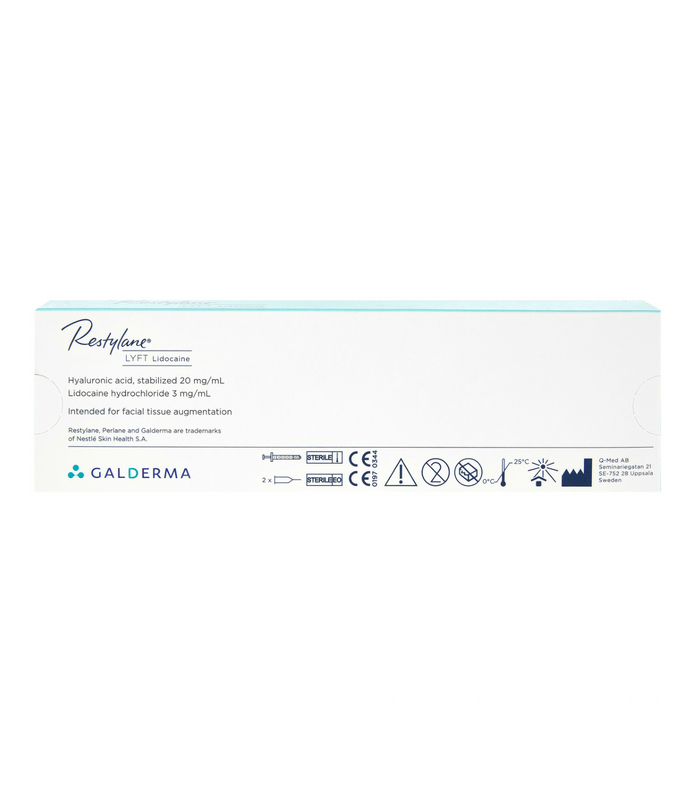 Dermal filler RESTYLANE LYFT is manufactured in Europe by Galderma.